We are ConnectFirms (Brand of Tech Alchemists Infotel Private Limited). 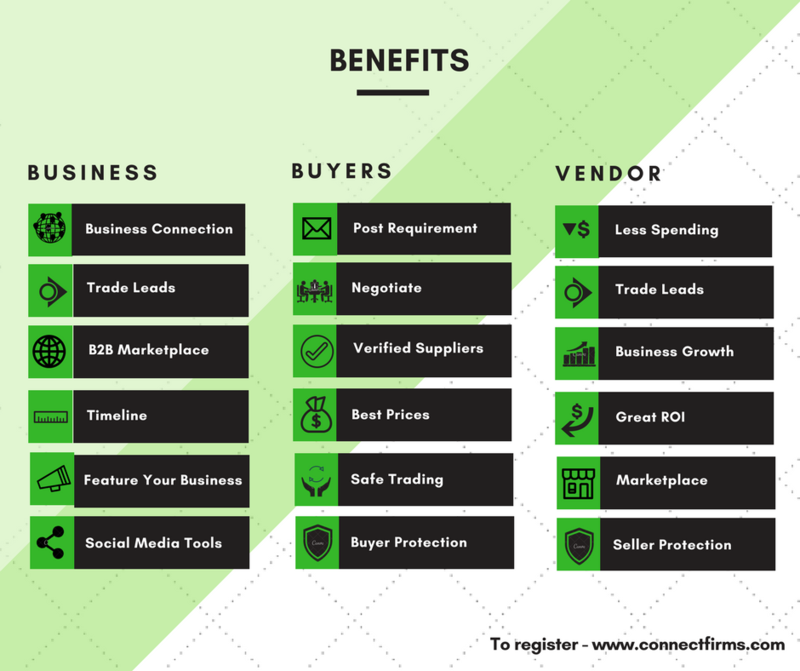 ConnectFirms is a solo player in the market to help business to connect with their target audience, promote their business to next level; you can easily market your products to worldwide buyers. 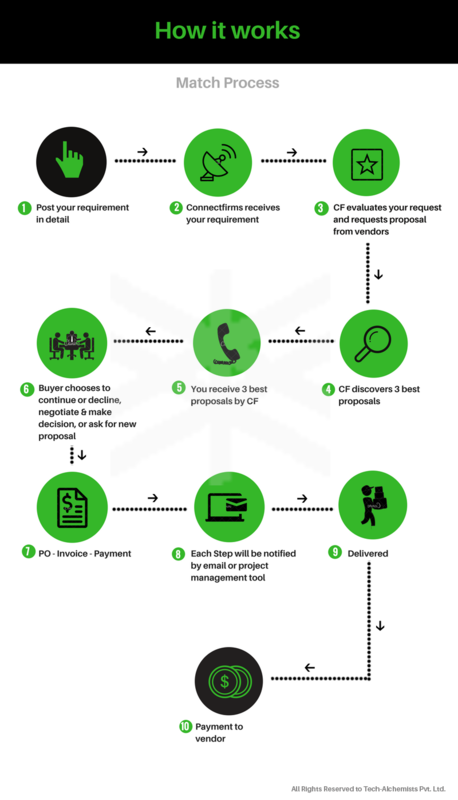 “ConnectFirms” Since its inception we are trying to understand global market from buyer and seller perspective, we clearly understood that there are only a few businesses that able to reach their goal, and others are not able to create any waves in the market. The reasons are, “Effective marketing strategies to reach out right target audience and marketing budget”. When you think back on it, the advent of social media hit the marketing world like hot sauce on an empty stomach. All of a sudden businesses with an appetite for "what's next" rushed to set up Facebook Pages, Twitter accounts and blogs to connect with as many customers as possible. Waylaid somewhere along the way, however, were the fundamentals of public relations, marketing, corporate communications and sales -- giving way to erroneous assumptions about how businesses should manage their social marketing. In our view, there is no "one way" to manage your online positioning using social media. Instead, each company's marketing strategy should differ depending on specific goals and target audiences. ConnectFirms is here to help you to find multi level marketing strategies in our application, so that you can find your right target audience with less cost, penetrate global market, manage your sales leads, use multi level marketing channels such as social media, email marketing, phone, fax, content writing, and moreover connect with the right target audience and build the relationship with them to do business. Keep updated you about the market every day. We Welcome you, and Happy to have you in ConnectFirms family.